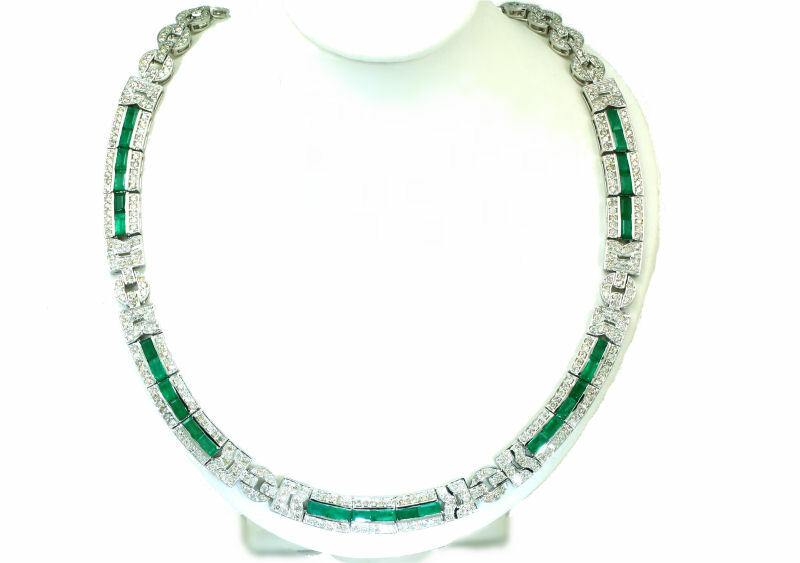 This luxurious emerald and diamond necklace is beautifully crafted in bright polished 14K white gold and consists of 15 links. 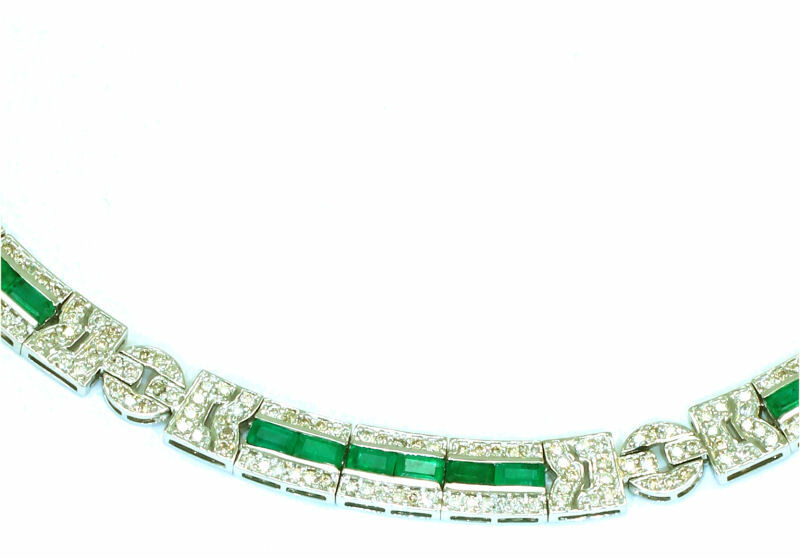 Each link is set with two rich green emerald baguettes (5x3mm each) and 5 round diamonds in a row on each side of the emeralds. The ten diamonds have a total weight of 0.20ct with 1.6 mm diameter each. 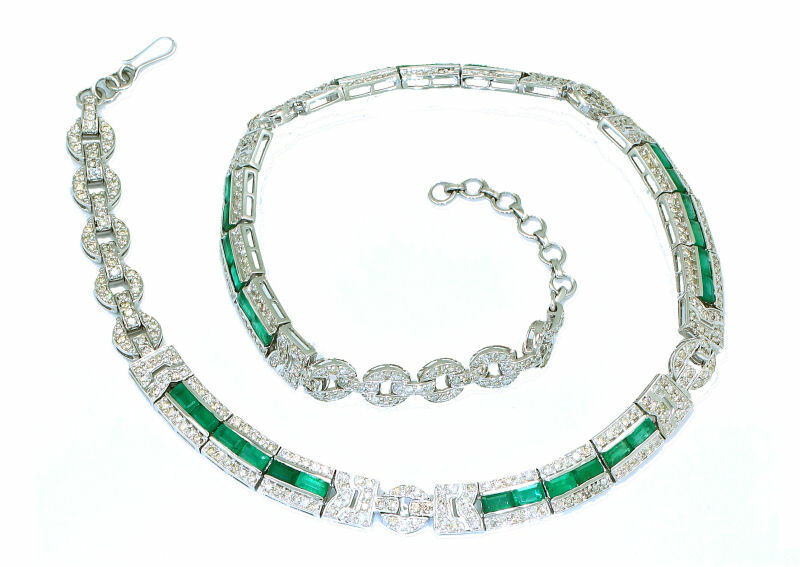 There is a further diamond set section every third emerald link. 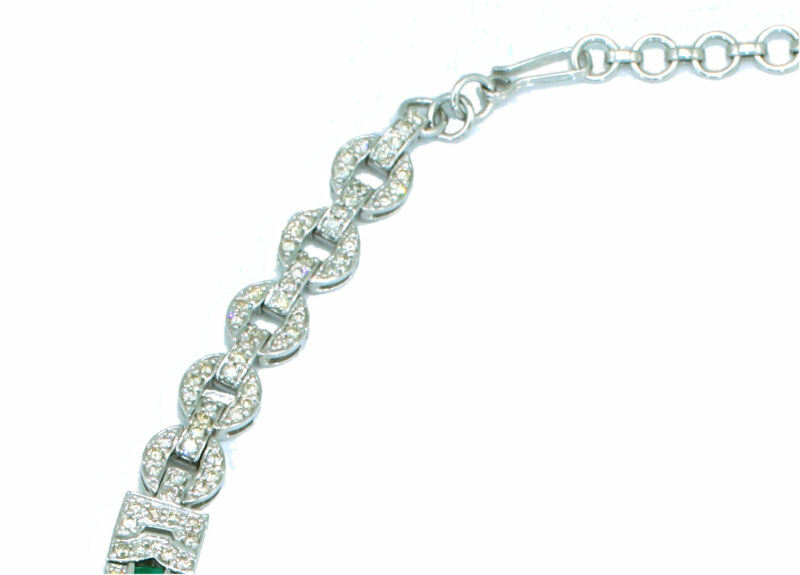 In addition, ten diamond set round links finish off the necklace. The emerald total weight is 3.30 carats and the diamonds have a total weight of 6.70 carats with I1/I2 clarity and I/J colour. The necklace has a total weight of 40.50 grams and is completed with a fish hook necklace lock. 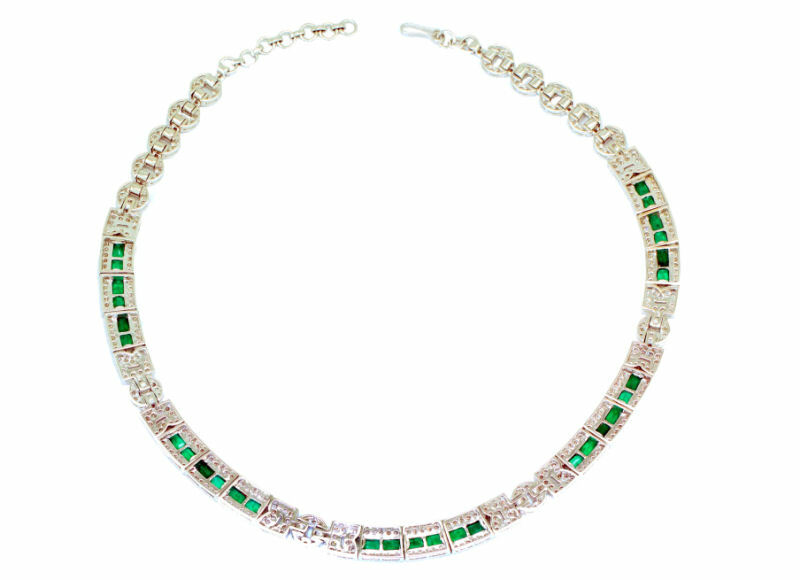 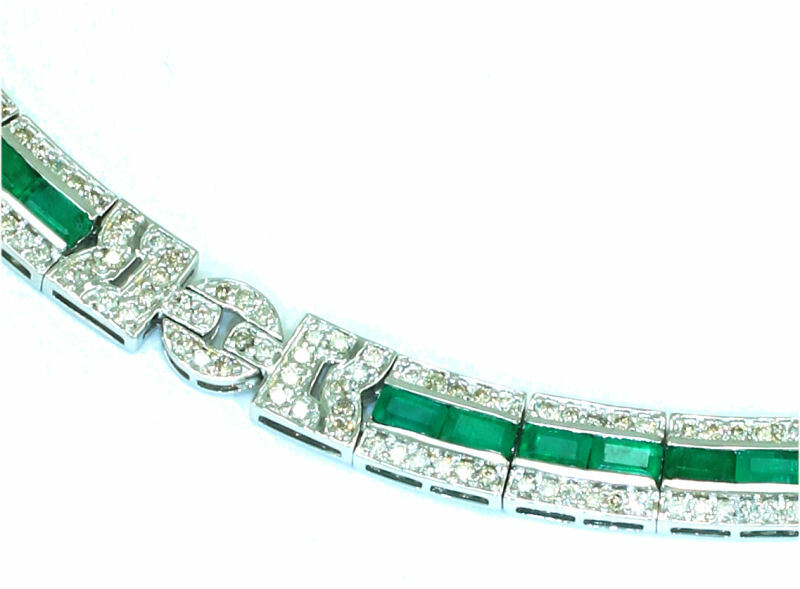 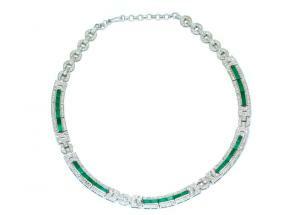 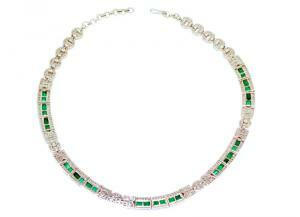 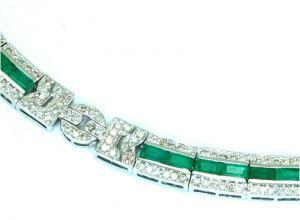 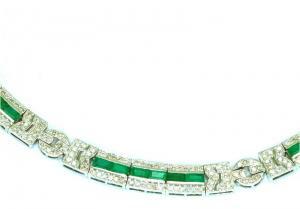 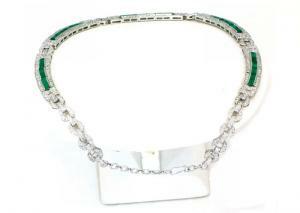 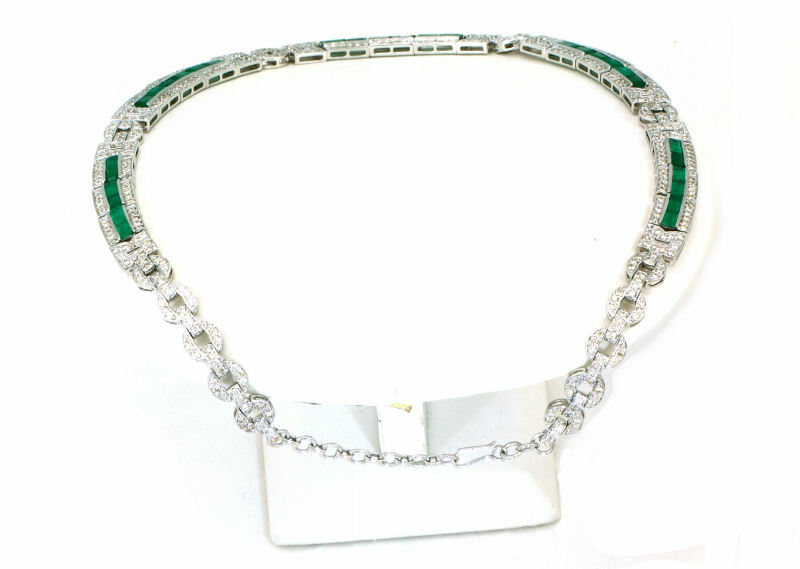 An independent jeweller's certificate is provided with this necklace, with a valuation of £8,000.